Technics have teased what appears to be the next generation of the legendary SL-1200. 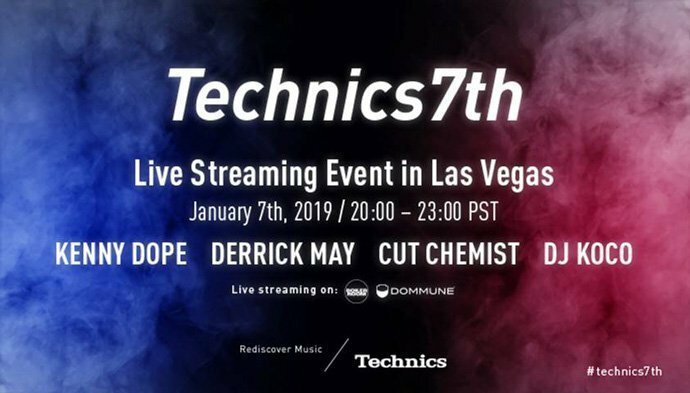 Posting some cryptic images on their Instagram, the Japanese company look to be revealing the new product – heavily referencing MK7 – with a stream featuring Kenny Dope, Derrick May and Cut Chemist on January 7th. The previous MK6 version was released in 2007, and the famous range hasn't been updated since, with more specialist and high-end SL models taking priority. Technics have been criticised for ignoring their core audience and tailoring their products to audiophiles, with the cheapest current SL-1210GR model costing £1,200. Technics also released an ultra-expensive SL-1210GAE (pictured) coming in at £2,700. Could this finally be an affordable alternative for DJs, to rival Pioneer DJ and Reloop's current offerings? We hope so, but Technics president Hiro Morishita told the NY Times in 2017 "We don't want to market the 1200 as a tool for DJs. The 1200 is the 1200." Make of that what you will. Keep your eyes on Technics socials for more news over the coming days.